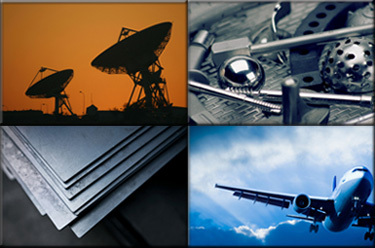 An ISO 9001 Certified raw materials supplier to Aerospace and Medical Manufacturers, Machine Shops, and OEMs. At Vincent we take pride in our knowledge, personal service and customer relationships. Every day we solve material challenges that can consume your valuable time. Our vast inventory of specialty alloys comes fully certified from the best DFARs compliant mills, ready to cut and ship same day. If what you need isn't in stock, we'll source it for you. We maintain an international list of approved suppliers so you don't have to. Our buying power and regular deliveries save you time and money. Our sales staff is ready to help you buy the metals you need. We take pride in our personable service. Our receptionist will direct your call to a real person--no voice mails or phone trees. You'll be put in touch with a knowledgeable staff member who's goal is to leave you feeling glad you called. M. Vincent & Associates is a Veteran Owned Small Business.